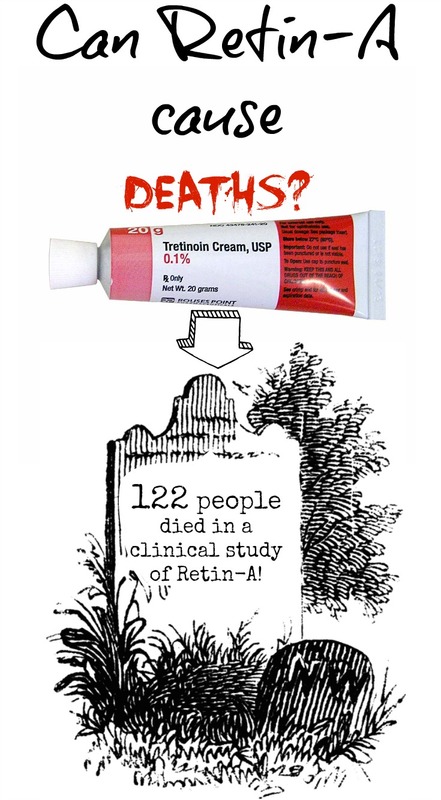 Can Retin-A (Tretinoin) cause deaths? I stumbled on this clinical trial of Retin-A where 122 applicants died during the trial phase of Retin-A (aka Tretinoin)! Say what? How scary is that? Can Retin-A really cause deaths? The clinical trial was conducted by the Veterans Administration involving 1,131 elderly veterans. Their mean age was 71 years but patients with a very high estimated short-term risk of death were already excluded. 566 were randomized to test tretinoin cream (0.1%), and 565 to placebo. After 6 years, and about 6 months prior to the study’s scheduled conclusion, a safety monitoring committee stopped the study because of excess mortality among subjects who applied Retin-A! By April 2004: 82 (14%) deaths in retinoid group compared to 53 (9%) placebo. By the end of 2004: 108 (19%) deaths in retinoid group compared to 76 (14%) placebo. By the end of study: 122 (22%) deaths in retinoid group compared to 90 (16%) placebo. vascular disorders (12 deaths in the retinoid group vs 3 in the placebo group). Ironically, the trial was intended to demonstrate that Retin-A could prevent lung cancer! What´s also interesting is that- even though the data of the clinical trial concluded that the death rate was higher in the Retin-A group than in the placebo group, the authors published preliminary results in the Journal of Investigative Dermatology, stating that there was NOT a statistically significant difference in overall mortality between tretinoin and placebo groups: "We conclude tretinoin did not cause the mortality difference between groups, and in retrospect the termination of the intervention was unnecessary." And another 4 years later they finally published the results of the study (in 2009). Also interesting to know: The principle investigator of the clinical trial: Dr. Martin A. Weinstock, MD, PhD, discloses receiving financial support from Galderma Laboratories, Johnson & Johnson, and Ligand Pharmaceuticals. The manufacturer of tretinoin, Ortho-McNeil–Janssen Pharmaceutical is a division of Johnson & Johnson. The FDA has taken no action whatsoever in result of this study. Dr. Kenneth A. Katz says here about the study : "A link between tretinoin and lung-related mortality is biologically plausible, with the putative culprit not tretinoin itself but harmful tretinoin metabolites." After reading the study, Dr Dellavalle encourages (read it here) physicians to discuss the results of the study with elderly men using topical tretinoin and to try to prevent them of using tobacco. Common side effects when used by mouth include shortness of breath, headache, numbness, depression, skin dryness, itchiness, hair loss, vomiting, muscle pains, and vision changes. Other severe side effects include high white blood cell counts and blood clots. Use during pregnancy is known to harm the baby but even in topical form we are warned that, this drug should not be used by pregnant women. Pretty crazy stuff, if you ask me! It is KNOWN to harm the baby during pregnancy if swallowed! Wow! Clearly, I am not eating any of my cosmetics- but I doubt they will do that much harm? What should we take out of this study and do I still use Retin-A? The study has been done in 2004 and was for 4 years not published which makes it almost seem like they tried not to publish this (scary) data at all, plus they were paid by the manufacturer of Tretinoin. Did the manufacturer not want the study to be published? But overall I take this study with a grain of salt, after all the applicants were all really old men- who knows if they would have died anyway (with or without Retin-A)... but I also encourage you to do your own research, read this study for yourself and build your own opinion on this. 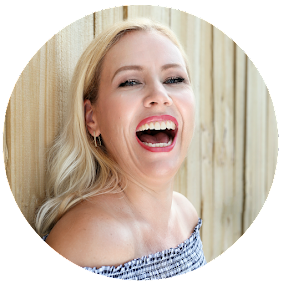 I will personally keep using Retin-A- but I anyway slowed down with it. I use it probably every 2 weeks currently and apply a Retinol cream every night (read also: How to start Retin-A without irritation). I think that especially elderly people or smokers should probably avoid Retin-A completely. But hey: I am not a health care provider or professional. If you are worried, print out the study and show it to your doctor and ask for his/her opinion! And if you do, please tell me what he/she said! Really curious!